My kids are 100% obsessed with Halloween right now. My toddler loves all of the decorations we've put up around our house... especially the spiders! 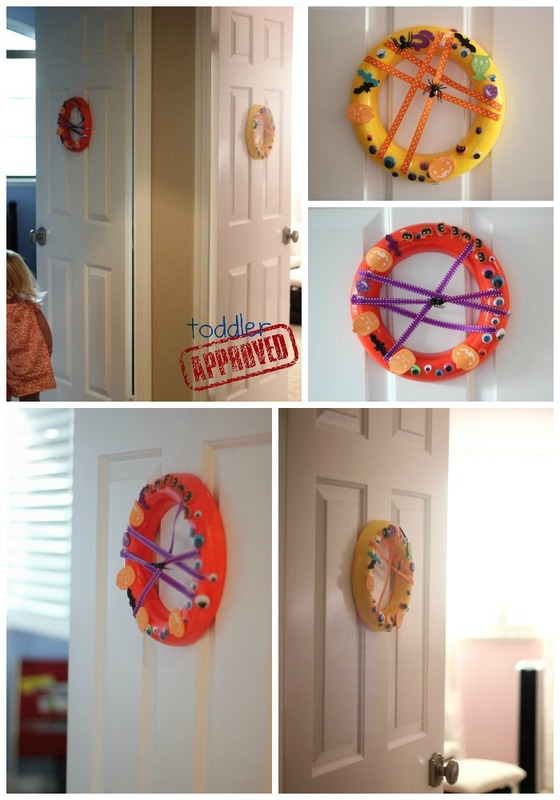 A week or so ago I spotted some simple colorful styrofoam wreaths at Michaels and knew we needed to buy them so that we could jazz up the kid's bedroom doors for Halloween as part of our Mom and Tot Craft Time. Mom and Tot Craft Time features simple open-ended craft activities that I do with my toddler while reviewing language concepts and teaching new vocabulary words. 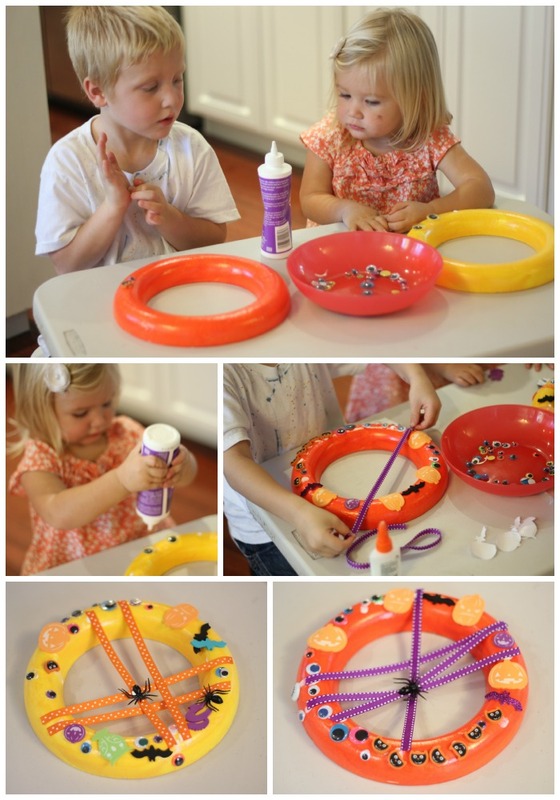 This Spooky Halloween Wreath activity was a perfect craft for my 22 month old daughter... though my 4 year old didn't want to be left out and decided to join in too! 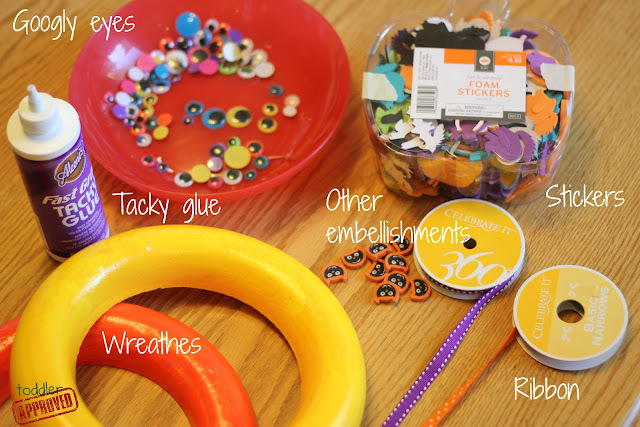 Materials Needed: Styrofoam wreath or a paper plate with a center cut out (or another type of wreath), tacky craft glue, ribbon, googly eyes, plastic spiders, foam stickers, and any other embellishments you have around (buttons, sequins, etc.). Our favorite item was little owl Halloween erasers. Put out a few items at a time in bowls on the table, pass your toddler the glue, and have her start adding glue drops* all over her wreath. Talk about the different objects she chooses as she covers her wreath with glue and her favorite things. We counted googly eyes, talked about the colors and shapes, talked about the names of the animals and objects, and talked about the sizes of the objects. Help your toddler practice following simple directions by suggesting she put a googly eye "next to" a bat or stating simple things like, "Can you stick another googly eye on top of the glue?"... or whatever you can come up with. Display the wreath somewhere in your house where your child will see her creation often and have the opportunity to talk about it! * We ended up using tacky glue and mini Elmers glue too. The tacky glue was tough to squeeze for the toddler (though she insisted she do it anyway), so I squeezed it out for her when she was gluing ribbon and erasers and she used the mini Elmers glue for smaller items like googly eyes. It was so fun to work on this project together with my kids and to see my son make suggestions and show his little sister his favorite spooky items while they created. He even searched around and helped her find a spider for her wreath! Both kids were very excited about their newly decorated bedroom doors and I love the little pop of spooky color the wreaths add to our very white and boring bedroom doors! Have you decorated for Halloween yet? How do you involve your kids in the decorating? Have you made any decorations with them yet? If you have any lovers of Halloween at your house, you may enjoy reading some of these spooky Halloween books together after creating your Spooky Wreath! 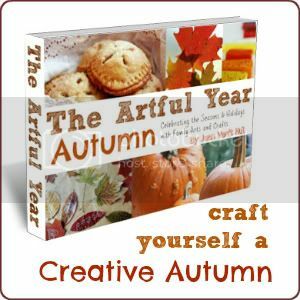 Thanks for sharing this - it really fits in with my own post on wanting circle crafts for my son. 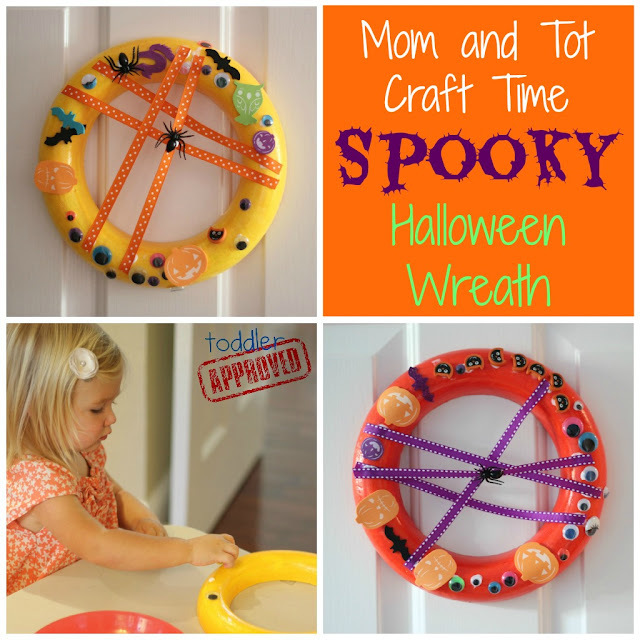 What a great activity - I love your idea of Mom and Tot Time as well. T and I are having great fun on our one on one days while J is at preschool. I love the colors of your wreaths! (Not sure I spell it corectly, either. haha) Thanks for linking up to tip-toe thru tuesday. I hope we see you again this week. Cute idea for open-ended play with a theme. My son is also loving Halloween and thinks every day is Halloween. May I ask where you bought the colored googly eyes? I am having a kid's Halloween party and those would be great for one of the craft ideas I have. Erica Thank you! I bought the googly eyes in a big googly eye pack at Michaels. What type of paint did you use to paint the wreaths? Thanks! Aimee- we didn't use any paint with this activity. We decorated styrfoam wreaths that were already colored.